Introducing the new Tournament Shader, available in game for all Injustice 2 characters beginning July 31! 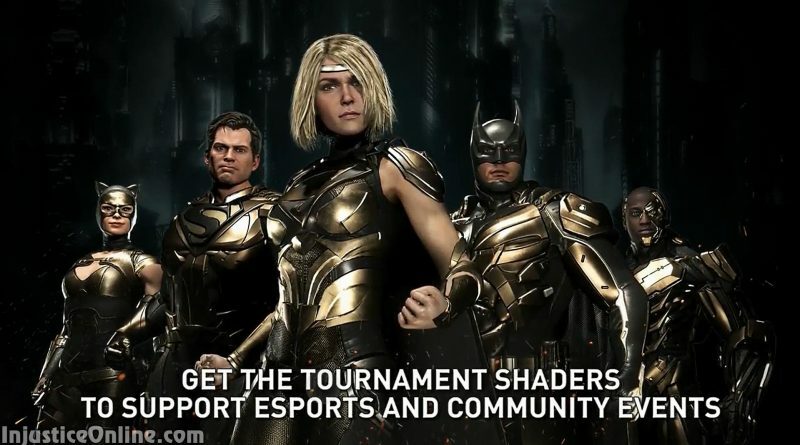 With a portion of the proceeds from sales going towards Injustice 2 tournaments and community events, purchasing the Tournament Shader is a great way to support the Injustice 2 esports scene. Supporting the tournament scene means a great deal for the game. The longer the game remains relevant, the longer it will receive updates and new content. Do you like the new shaders? Do you plan to purchase them? Tell us in the comments below.